At 30 years old I decided a career change was on the cards. I spent a couple of years studying with no real clue about what to do next and accidentally fell into marketing. Handily, I realised that I had a pretty good knack for writing stuff which meant my job title suddenly became ‘copywriter’. I eventually ended up at the biggest corporate giant of them all – Tesco. I was a founding member of the social media team which was a lot of hard work, mixed with fun times working alongside the PR team on huge stunts and, hanging out at Facebook and Twitter HQ. However, the shine wore off after three years, and I spent the next six months visiting food shows for fun at weekends, dreaming about working with these tiny brands instead. They were an amazing community of passionate people who were truly excited about the food and drink products they had brought to the market. That enthusiasm rubbed off on me and I wanted to help all of them get noticed. I just needed to figure out how. * Start a business specialising in everyone’s favourite thing – food! All the ingredients were there, so I took a deep breath, threw it all into the mix and Smoothie PR was born. I hope I can do this in two ways. Firstly, I want to be someone that start-ups and small businesses know they can trust to look after their best interests. I will become that 'go-to' person because they know already that investing their precious time and money with me will not be wasted. But they'll also know that any other businesses I refer them to will also care about them as people, rather than how big their bank balance is. Secondly, I want to show other PR agencies that being one of the 'good guys' in an industry full of sharks is worth pursuing. I still regularly encounter the many difficulties of being a small business owner myself and, offering a low-priced product is definitely NOT the way to get rich quick! However, if you want to run a business you genuinely love, for clients you truly care about, there's nothing better than this. Don't ever be fooled by the glossy surface of what appears to be a successful company - running a small business is both the hardest and most rewarding decision you'll ever make. 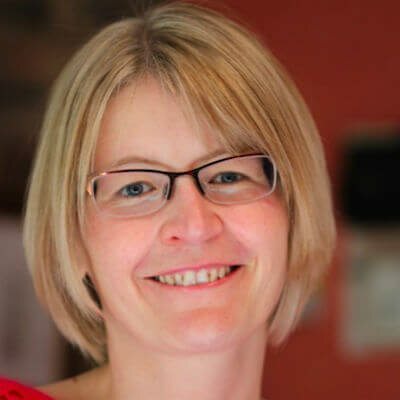 I started my business as a copywriter in May 2015 and struggled to get a regular flow of clients. It wasn't until 15 months later that I finally realised that 99% of foodies have no idea what a copywriter is or does! I was also doing PR for these clients as a side service but not advertising it, which is why I needed to rethink my offerings and Smoothie PR was born. The greatest thing is seeing my foodies progress - when I'm a tiny part of their success, it gives me the warm and fuzzies inside and there's no bigger high! The worst thing for me is the uncertainty - I never know from month to month how many 1-1 clients or monthly members I'll have, which directly affects my income. On balance, if you have a dream to start your own business then I'd say do it; you don't want to spend the rest your life regretting the fact that you didn't give it a go. The greatest compliment I ever receive is when people come up to me and say, "You sound exactly like your website." I decided I wasn't going to follow the formula of 'you must do THIS on your Home page, THAT on your About page' etc. I decided to make my brand 100% me. When we meet in person, I am that same chatty northerner from my website who gets all flappy-handed and flushed with excitement when we start talking food. It's a rare occasion that you'll ever see me out of my beloved and (very many!) colourful pairs of Converse, so I purposely built that into my brand DNA. Being authentic and honest creates trust. I'm absolutely transparent about what I can help foodies with and I leave it to them to decide if we're a good fit. So many people tell me they love what I do because what you see is what you get. There's no fluff or faffing around; we just all get stuck in together to help each other out! I'm absolutely passionate about helping start-ups and small business foodies get noticed. They have the least amount of money but need the most amount of help, and that's where my experience comes into play. 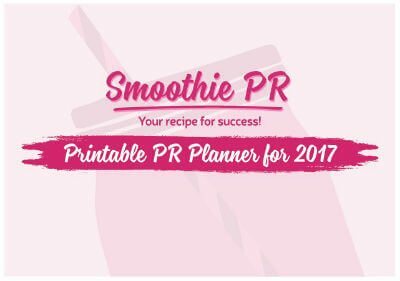 The first thing I offer to everyone on my website is a free, printable PR planner for the whole year with lots of helpful dates included such as food shows and national food days. This is a really easy way to plan your PR activity by creating relevant and useful content for your website and social media, and is also a great excuse to join in with popular conversations that people are already having. The next step up from that is 'The Smoothie Bar'. 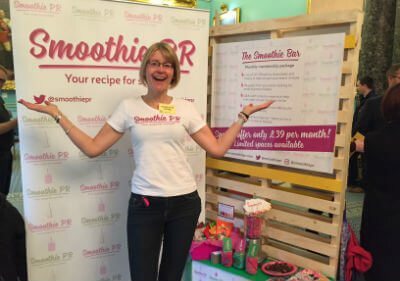 In a nutshell, if you have an itty-bitty budget, my monthly membership club The Smoothie Bar teaches small business foodies how to do their own PR for only £39 per month. 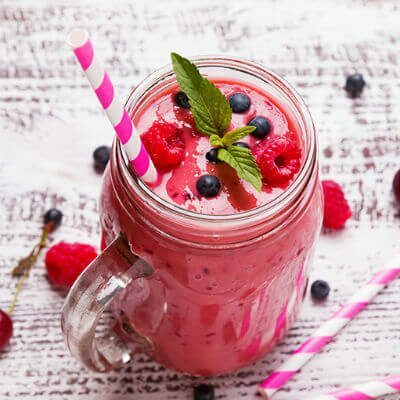 Being a member of The Smoothie Bar is the easiest way to learn DIY PR skills; you put them straight into action by chatting to the journos already looking for fabulous foodies running small businesses. I'm always looking for other small businesses that share my ethos and mission to get small food and drink brands noticed. If you specialise in any kind of business service they might need to grow, please get in touch. 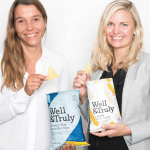 I'm always looking for experts for my weekly Q&A session as well as being able to recommend trustworthy, reliable and affordable companies that genuinely have my foodies best interests at heart.